This petition, especially when coupled with the addendum in v. 14-15 (“if you do not forgive others the Lord will not forgive you”) has caused concern for some of God’s people. Let me say first that this passage is not concerned with forgiveness of sins and justification on the basis of the cross and resurrection. Certainly, that is not how the disciples would have understood Jesus. Rather, what is in view here is our unfettered approach to God. How can we think of asking God to forgive us our debts and our sins (Luke 11:4) if we hypocritically refuse to forgive the debts and sins of others against us? Just as unconfessed sin stops our prayers from being effective, so an unforgiving heart will damage our fellowship with our Father, and hence our prayer life. This petition requires us to look within ourselves for any traces of hypocrisy in our dealings with our fellow man. How many of God’s children harbor secret enmities, prejudices, envies and bitterness toward others? In some sense they must be to us as we would be to God. 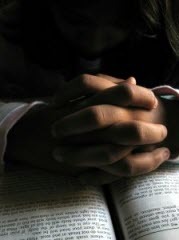 A prayer life that fails to include thorough self-examination is always going to be deficient. Although no man can know himself so well as to exclude all suspicion of his heart-motive, yet he must search his memory for sins still unconfessed and people yet unforgiven. Christians are not to bear grudges. Prayer that trusts that God sees and cares will always be able to forgive the wrongs of others. I am going to comment on these two petitions as one, since they form a sort of couplet. The fact of evil is what makes necessary both of these petitions. Temptation is never to do good! This life is a life filled with various temptations. But why would we have to petition a holy God not to lead us into temptation? Surely He would not do such a thing? My answer is that God wants us to ask with a whole heart. An upward look to God in heaven: a heavenly or eternal perspective on this life, gives us the right eyes to see temptation often before it approaches. We cannot avoid temptation down here. But we can fix our eyes on Jesus and plead for God to lead us away from temptation. This highlights the responsibility of the individual to avoid temptation while relying on God to guide us through the minefield of life. “Lead us not into temptation” is the language of reliance. Daniel Doriani rightly notes that “this petition partially explains why some prayers go unanswered. If a request leads to temptation, God will not grant it” (Matthew, REC, Vol. 1, 229). Now we have said this, I hope it becomes clearer how “deliver us from evil” also shows reliance, and that this request assumes what was said about the previous one. We must pray for the Lord to deliver us from evils, even from those that may be yet future. I see no difficulty in “covering” ourselves by faith in God’s providential leading in this manner. This is not to say we can dodge every evil aimed at us in life, but I think we may be confident in asserting that many evils can be avoided by such an exercise of faith in God’s dispensations with us. Faith understands the kind of world it really is. It is the realm of “the Evil One”, as the last clause may be translated. In view of this fact, it is surely wise to seek God’s protection in what the Apostle Paul describes as “this present evil age” in Galatians 1:4. Thus, when we ask God not to lead us into temptation, we do not do it because, like the pagans of old, we serve a capricious god who might well do just that. It is rather because in praying this prayer, we are declaring that we know what the world is like, and that we sorely need our heavenly Father to guide us and help us every step of the way until we reach His realm of glory.